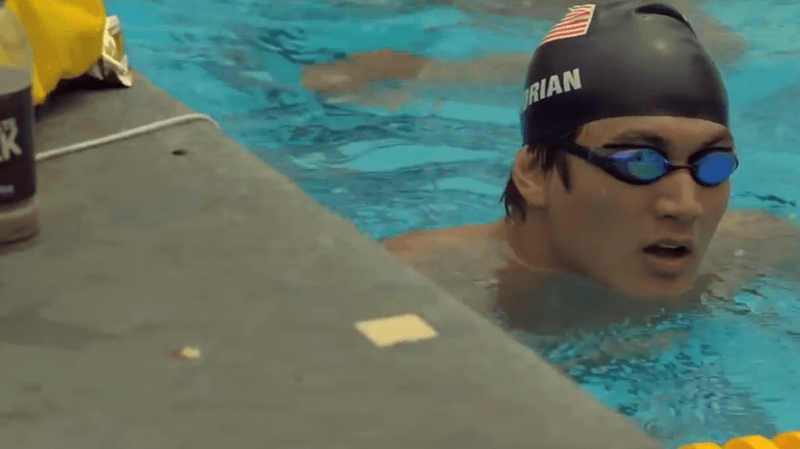 In this two-part video series that was produced in the run up to the London Olympics, we get a behind the scenes look at the swimming and dryland training that Nathan Adrian undertook in preparation for his gold medal winning performance in 2012. The video was produced by “Got Chocolate Milk?” so it is a bit of a pitch for their product, but if you look past that you will get a good background on Adrian’s training, including his work with renowned strength and training coach Nick Folker (who is no slouch himself, having represented South Africa on the Olympic level). Folker was the strength and conditioning coach for the Cal Berkeley Bears, as well as their post grad group including other sprint superstars Natalie Coughlin and Anthony Ervin. Here are the two videos, enjoy!